Representative Bert Kobayashi's family has deep community roots in Kaimuki, having been a part of the neighborhood since 1915. He served 16 years in the State House and Senate from 1978 to 1994 and was re-elected to the State House in 2012. 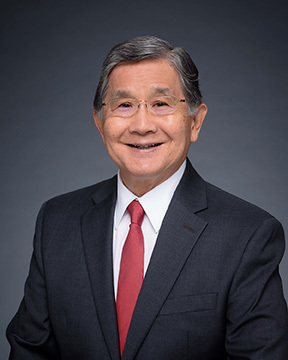 As an effective legislator, he helped to enact the first "living will" law, Nursing Homes Without Walls (community-based alternative to nursing homes), first HIV confidentiality law, school community-based management (SCBM) law, and others. He also supported the establishment of Kapiolani Community College at Diamond Head, from its initial planning in 1980 to the last major CIP funding in 1993. Representative Kobayashi graduated from Kaimuki High School and the University of Hawaii at Manoa and holds a Ph.D. in Political Science from Michigan State University. He has been an Assistant Professor of Government at American University in Washington, DC and is a former Administrator for the State of Hawaii Hospital System. He is married to Mary Lou and has a son, David. The public is invited to bring their recyclables to Kaimuki High School on Saturday, October 19, 2013 between 9:00 a.m. and 1:00 p.m. for the 10th Annual Community Clean-Up. Funds raised for this event will benefit Kaimuki High School, Kapahulu Center, and the Moiliili Community Center. Residents of the Kaimuki, Kapahulu, Palolo, St. Louis Heights, Manoa, Makiki, Ala Moana and McCully-Moiliili neighborhoods are encouraged to bring their recyclables to the parking lot of Kaimuki High School on Saturday between 9:00 a.m. and 1:00 p.m. This would be a great time to clean out clutter while at the same time support the community, promote recycling, and divert trash from our landfills. Help Hawaii "Go Green" and turn trash into cash. Please see the list of acceptable items for recycling on the included flyer. On June 5, 2013, Representative Bertrand Kobayashi hosted a Lawmakers Listen Community Meeting at the Waialae Elementary Public Charter School cafeteria. Attending the community meeting were House Speaker Joe Souki, Vice-Speaker John Mizuno, Majority Leader Scott Saiki, Majority Floor Leader Karen Awana, Finance Committee Chair Sylvia Luke, Finance Committee Vice-Chair Scott Nishimoto, and Health Committee Chair Della Au Belatti. The meeting provided residents an opportunity to engage with Representative Kobayashi and the leadership of the House of Representatives about issues impacting the community and the recently completed legislative session. Honolulu, Hawaii - The Hawaii State Legislature today voted unanimously in both the House and Senate to approve the state budget for the upcoming FY2013-2015 biennium. HB200 CD1 appropriates funds for operating and capital improvement costs of the Executive Branch for the biennium fiscal years FY2013-2014 and FY2014-2015. For FY2013-2014, the bill offers $6 billion in general funds and $11.8 billion in all other means of financing. For FY2014-2015, it appropriates $6.1 billion in general funds and $12 billion in all additional financing means. It also provides over $3 billion in funding for capital improvement projects (CIP) and $30 million Grants-In-Aid for non-profit organizations. House Finance Chair Sylvia Luke (Makiki, Punchbowl, Nuuanu, Dowsett Highlands, Pacific Heights, Pauoa) acknowledged that the fiscal outlook is looking positive but reiterated the importance of financial prudency, "our economy is recovering and while we have the money, it is now time to take a measured approach towards our State's financial plan. This means passing a budget that takes care of our current needs, while also taking care of our financial obligations and reinvests in our future," said Luke. "In this budget, we kept our promise to recapitalize the Hurricane Relief Fund and Rainy Day Funds and we have taken significant steps towards reducing our unfunded liabilities." The financial plan includes an addition of $160 million into the Hurricane Relief Fund and $50 million into the Rainy Day Fund. Most importantly, it includes appropriations of $217 million in the next biennium to begin payments towards the State's unfunded liability and will continue to allocate funds every year ending in an allocation of $500 million in FY2019. "We used the projected surplus to strengthen economic drivers to ensure increased revenue returns. To help the construction industry, the budget bill authorizes more than $1.3 billion in general obligation bond authorization for capital improvement projects statewide. Additionally, to support our number one industry our financial plan includes an $11 million increase to the Hawaii Tourism Authority to strengthen the marketing of Hawaii as a visitor destination. We also appropriated $6 million to assist our growing high technology industry in investment start ups and tax credits for research and development," said Luke.  Added $750,000 in general funds for the New Farmer Loan Program in FY14. This funding will enhance opportunities for new farmers to grow, while also supporting the State in becoming more food self-sufficient.  Added 10 positions and nearly $1.2 million over the biennium to the Plant, Pest, and Disease Control division to support the Apiary program on Maui, Kauai, and Kona, and various other programs aimed at protecting local agriculture from invasive species, as well as the Hawaii Queen Bee industry.  Added 2 temporary positions and over $300,000 in special funds each year for the Mortgage Foreclosure Dispute Resolution Program, which handles disputes between owner-occupants and lenders.  Added $190,000 in special and trust funds over the biennium to the Department of Commerce and Consumer Affairs for public service campaigns aimed at educating consumers on a broad spectrum of consumer issues, including the dangers of hiring unlicensed contractors.  Provided 3.69 temporary positions and $3 million in special funds over the biennium for the Hawaii State Energy Office Strategic Plan Programs to develop alternative energy resource related projects.  Added $800,000 over the biennium to the Pacific International Space Center for Exploration Systems Program (PISCES). This supports the PISCES center on Hawaii Island to build an aerospace research and development park in cooperation with NASA and other international organizations, to be able to test aerospace robotics on a similar terrain.  Added $1.5 million in general funds over the biennium for the Hawaii Invasive Species Council in Forestry Resource Management and Development Division of DLNR. This restores funding to support invasive species control, bringing general funding closer to historical levels.  Added $12.9 million in general funds for the Weighted Student Formula. This funding will go directly to classrooms to support educational activities for students, teachers and principals.  Added $8.2 million in general funds in FY14 for a pilot program relating to Common Core Instructional Materials. This is the DOE's initiative to give every child from grades 3-12 either a tablet or laptop to enhance their educational experience.  Added $1 million in general funds in FY14 for Common Core Standards Assessment in Hawaiian. This funding creates a Hawaiian language Common Core Standards test for 350 third and fourth grade students enrolled in 14 immersion schools.  Added $700,000 in FY14 in general funds for library books and materials. Includes funding for both physical books and e-books. Libraries have not received general funding for materials for 4 years.  Added 13 temporary positions to Department of Land and Natural Resources (DLNR) for Watershed Management to continue management of watershed projects.  Added 8 positions and $1.3 million for quality management and monitoring of environmental resources. These positions support programs for watershed and surface water quality monitoring, water reuse, greenhouse gas emissions, air pollution control, federal and state clean water regulations, solid waste permitting and monitoring.  Added nearly $1.2 Million over the biennium for The Native Hawaiian Center of Excellence at the John A. Burns School of Medicine.  Added 10 positions and $3 million in general funds in each year of the biennium to support activities and growth at the University of Hawaii at West Oahu campus.  Added 9 positions and $3 million in general funds over the biennium for Science, Technology, Engineering, and Mathematics (STEM) Initiatives. This program enhances the professional development of middle school teachers in STEM subject matter areas.  Added $1.4 million general funds each year for Aging and Disability Resource Centers.  Added 1 position and $95,000 in the Children and Youth Services section to re-establish the Violence Prevention Coordinator position, which is responsible for statewide Domestic Violence program planning.  Added $3.1 million for various social service programs including those to expand voluntary foster care to 21, increasing the clothing allowance for foster children, and developing Neighborhood drop-in Centers on Kauai.  Added $750,000 in general funds in FY14 to expand the Housing First program to the Leeward coast of Oahu. This helps transition chronically homeless into affordable housing situations.  Added 5 Counselors and nearly $875,000 over the biennium for the Office of Veterans Services.  Added $327,000 in general funds over the biennium for the Automated Fingerprint Identification system maintenance. The system is used by the Honolulu Police Department and State Sheriffs in the field to check a suspect's criminal history. This also includes facial recognition software which allows field officers to also check a suspect's criminal records through photographs.  Added 91 positions for the re-opening of the Kulani Facility on Hawaii Island, as part of the Justice Reinvestment Initiative to bring prisoners home.  Added 10 Positions and $850,000 in general funds over each year of the biennium for additional security at courthouses statewide. These deputy sheriffs would provide additional security to courthouses on Oahu, Hawaii Island, and Maui.  Added $161,886,000 in special funds over the biennium to highways division for special repairs and maintenance of roads statewide.  Added 33 positions and over $2.3 million in special funds over the biennium for additional janitorial support. Positions include: 32 janitors for Honolulu International Airport and 1 janitor supervisor for Kona International Airport, who will be tasked with improving the first and last impressions and overall experience of visitors by improving the quality of services and facilities at State airports. Also approved today were the budgets for the Judiciary Branch and the Office of Hawaiian Affairs. HB197 appropriates funds for operating and capital improvement costs of the Judicial Branch for the next biennium. The bill offers in general funding $145 million for FY2013-FY2014 and $144 million for FY2014-FY2015. On April 5, 2013, Governor Abercrombie released Capital Improvement Project (CIP) funds to renovate Leahi Hospital. The funds will be used to remodel second floor space previously occupied by Kapiolani Community College for hospital use, replace lobby flooring, renovate the second floor men's restroom for accessibility, repair damaged sewer lines, and reroof the porte cochere roof. In only its second year of robotics competition, Leilehua High School spearheaded a public school triumvirate to victory at the FIRST Robotics Competition at the University of Hawaii recently. Baldwin and Kalani High Schools teamed with Leilehua to topple the top-seeded team of Waialua High, Punahou, and Sacred Hearts and earn a spot at the FIRST Robotics Championships in St. Louis, MO., April 25-27. The FIRST (For Inspiration and Recognition of Science and Technology) Competition is a multinational competition that teams students with industry professionals to solve an engineering design problem in an intense, competitive atmosphere. The weekend event, themed the "Ultimate Ascent," challenged teams to build a robot that would fling a Frisbee, and then later, scale a pyramid. The FIRST Championship is the culmination of the season's FIRST programs, bringing together three separate robotics competitions for the ultimate Sport for the Mind. The event includes the FIRST Robotics Competition Championship, the FIRST Tech Challenge World Championship, and the FIRST LEGO League World Festival. Also featured is the Junior FIRST LEGO League World Festival Expo. Honolulu, Hawaii - Rep. Bertrand Kobayashi (Waialae, Kahala, Diamond Head, Kaimuki, Kapahulu) and Rep. Mark Hashem (Hahaione, Kuliouou, Niu Valley, Aina Haina, Kapahulu) both received game balls signed by all the members of the Kalani High School Soccer Team, the reigning Division I State champion, at the State Legislature. The entire team, composed of 30 players, head coach Michael Ching, assistant coaches, trainers and managers, were present at the House Chamber to be congratulated on their state championship. Five Kalani players were named to the HHSAA (Hawaii High School Athletic Association) 11 -member All-Tournament Team including Leo Klink (Most Outstanding Player) along with Noa Maxilom, Steven Teshima, Michael Stafford and Kazuto Moribe. "After last year's heartbreaking loss in the title game, it was exciting to watch the team come back more determined than ever this year and win the championship in an overtime shootout" said Rep. Bert Kobayashi who co-sponsored the resolution presented to the team. "Although individuals were recognized for their outstanding effort," said Rep. Mark Hashem who co-sponsored the resolution. "it was the combined effort of the whole team that ultimately contributed to their success."